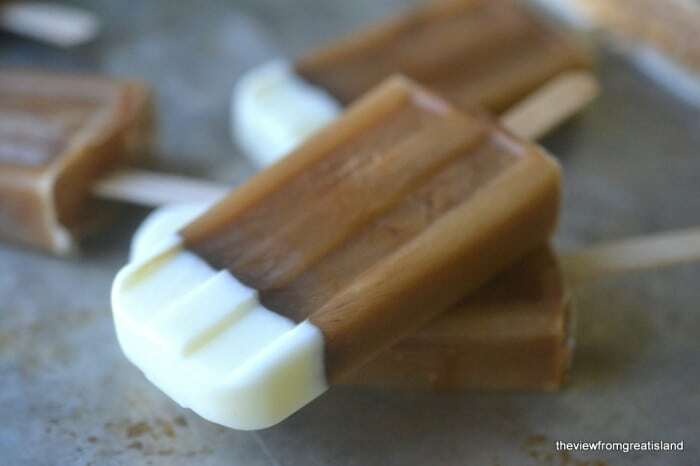 Iced Coffee Popsicles ~ this is the way to get your morning (or evening!) cup of coffee when it’s hot out, these refreshingly caffeinated popsicles are like a long tall drink of iced coffee, on a stick! One lump, or two? Make your pops just like you’d make your coffee, they’re completely customizable. I like my iced coffee strong, with just a hint of cream and sugar. I think a strong brew makes the best iced coffee, because the ice dulls the flavor a bit. 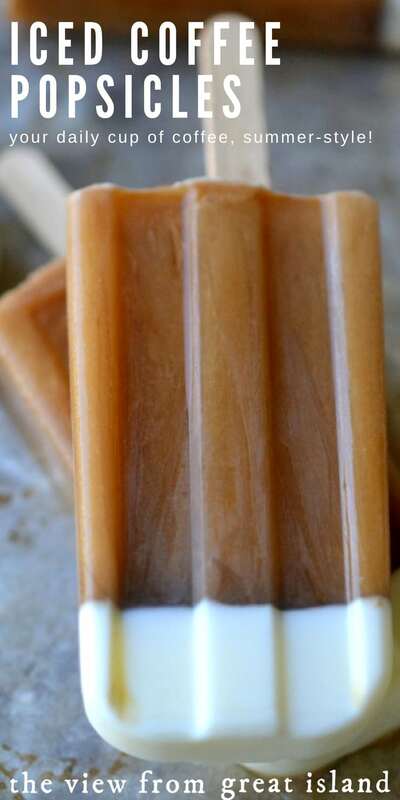 Set aside some of your morning coffee, add a little cream and a touch of sugar (it is a popsicle, after all) and you are ready to fill your mold. 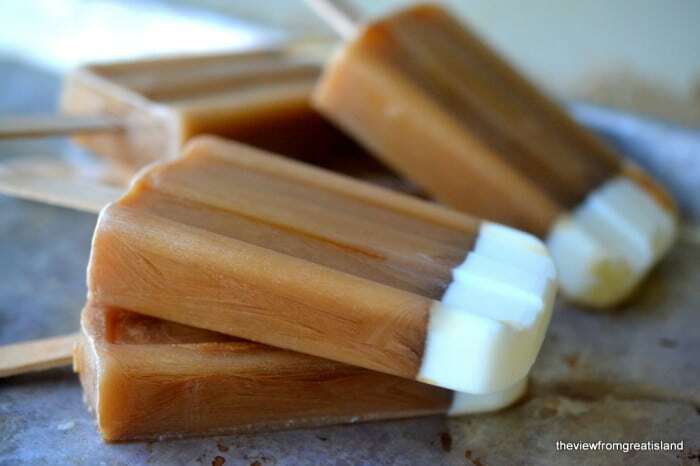 These iced coffee popsicles are a simple, chic way to serve after dinner coffee, summer style. 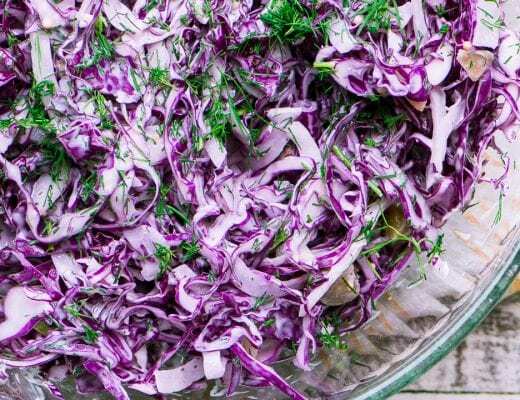 They make a great finale to a barbecue on a warm spring or summer night. These will melt fast when it’s hot out, though, so serve them with a napkin, or, even better, in a chilled cup. They will be icy because of the coffee, so it’s best to lick, not bite. People always ask, so here’s the type of popsicle mold I use, I have several, some have metal tops and some have plastic, but I always use a sheet of foil and punch the sticks through because the tops can stick. I love the classic shape and they don’t wear out. Click on the photo for more info. 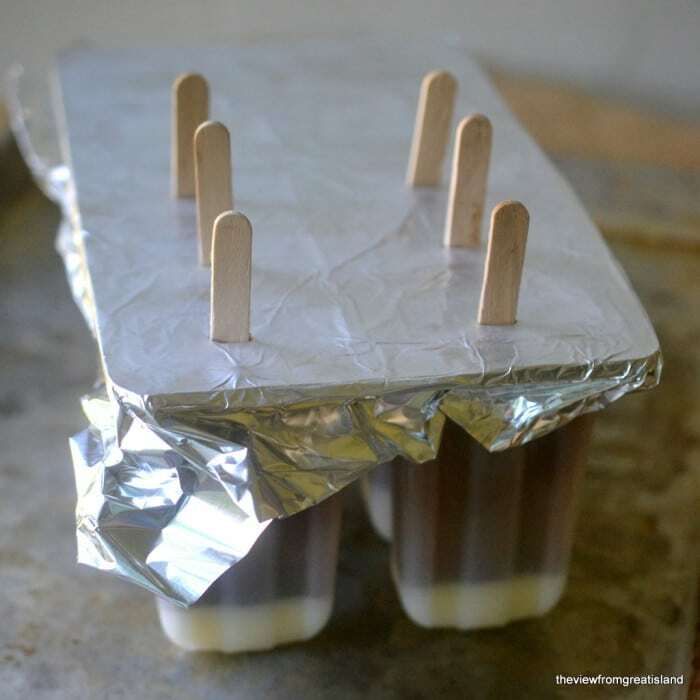 TIP: Popsicle molds come with their own hard tops, but I like to use foil instead. The popsicles lids can become very hard to remove when the sticks are not perfectly straight, and that can be a big problem. Cover the top tightly with foil, and poke the sticks through to insert. You won’t have any problems. 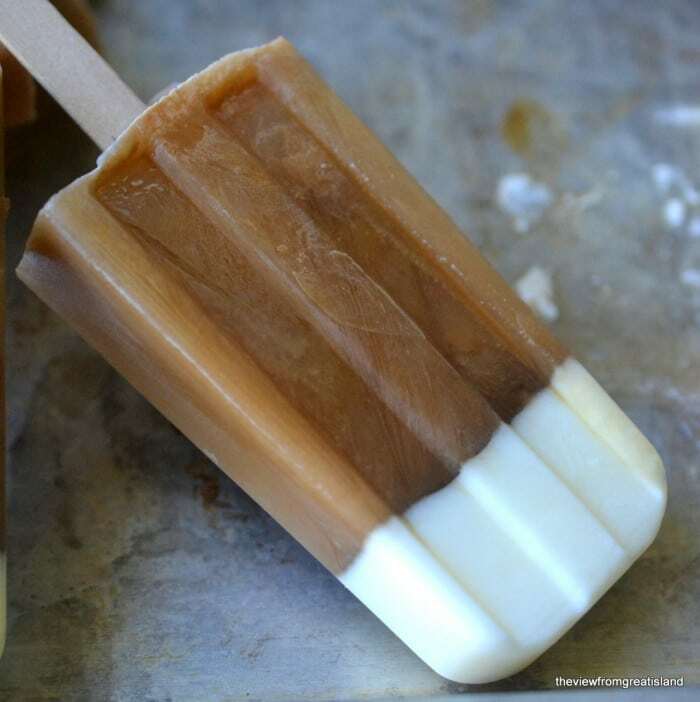 Keep in mind, these iced coffee popsicles aren’t creamy like Frappuccinos, they are frozen coffee, they have a stronger coffee taste and an icy, granita type texture. They’re super refreshing. Wrap each pop in a plastic baggie or waxed paper to store them. This recipe works for a mold with 10 slots, 1/4 cups each. Your mold might hold more or less liquid. These amounts are approximate, based on my mold. Mix up about 2 1/4 cups of cold coffee with cream and sugar to your liking. You'll need a little extra sweetened cream for the white tips of the pops. 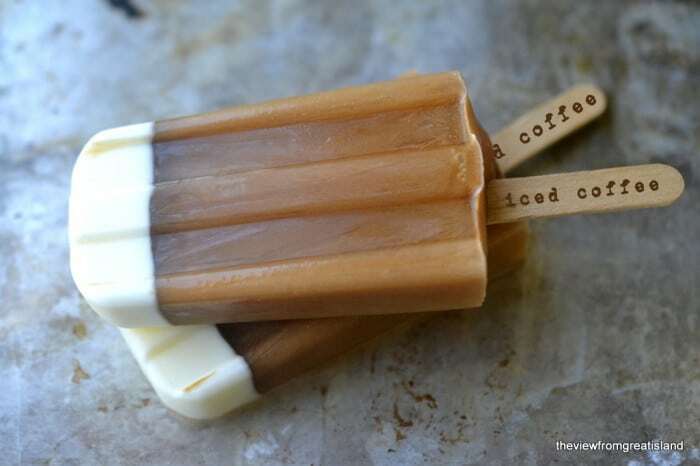 Don’t forget to pin these Iced Coffee Popsicles! These popsicles would be perfect for that, Christy! Sue, I cant reply to you any more over there but I am submitting this. I just subscribed the way you said but I didn’t recieved any email though I am perfectly sure about the right email I entered. If it isn’t possible fo’ me then no problem, i will enter your site any time I will be free :D I just wanted to request you about something… You r really kind so I want you to post more n more Sweet recipes in future + I would also love to find out some cool Pakistani or Asian dishes on your site such as different kinds of salads & Rice if you can :) Lots of love ? Your talkative fan, Marrie. Haha!! You can play around with this, Marrie. I used regular brewed coffee that I chilled before adding to the molds. You could use instant coffee if that’s what you like. I’m so glad it worked Marrie! You’ve inspired me to make these with some chocolate – might even have to post them ;) Thanks for following along with me all the way from Pakistan! :) Sue, you r forcing me to subscribe you! ? Loving your site. Can u please tell me how to get notify when you ever update new post! You r replying so fast & whatever you post is getting me ? Haha! I want to follow you! But how? If you want to get an email every time there is a new post, Marrie, you can subscribe here: http://theviewfromgreatisland.us7.list-manage.com/subscribe?u=4c70b811799639c396ead6e24&id=4c13a2c430 — You will need to fill out your email address, and then you will have to click on the confirmation email that will be sent to you. That’s it – then you’ll get each new post by email. Where do you get molds like these ? Hi Zoey— you can find them in big home department stores like Target or Marshalls, also World Market. And you can buy them online at Amazon, too. I saw this on the Huffington Post site today. Very cool that you were featured! These look amazing and I’ll bet they’d be extra good made with cold brew. I love the Popsicle sticks, and assume that you made them. Are they rubber-stamped, or what? Lovely! I did a sugar free variation on my blog inspired by yours (I linked back of course!) Thanks for the influence! 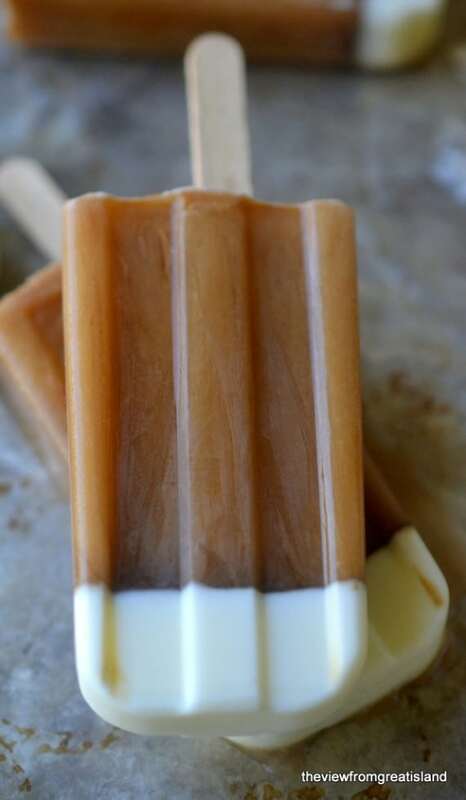 Iced Coffee Popsicle Recipe!!! | Welcome! May I know what kind of cream u using? I used heavy cream, Cheng. I saw these on Facebook when you posted them and shared it with my husband. He was amazed and if I ever buy Popsicle molds this is what I’m going to make – right after the layered fruit pops and all the other amazing cold treats you’ve posted. Really gorgeous – and your photo skills are perfect! Sue! I need this now!! fantastic! Love these! I should say my husband will love these…he loves his coffee! I am sharing these on my friday links! Such pretty pops, love the layers! What a great idea for summer. I could see having them as an afternoon pick-me-up treat. Looks like another wonderful concoction! This is such a great idea! Love me any kind of coffee! Pinned! Oh my goodness! 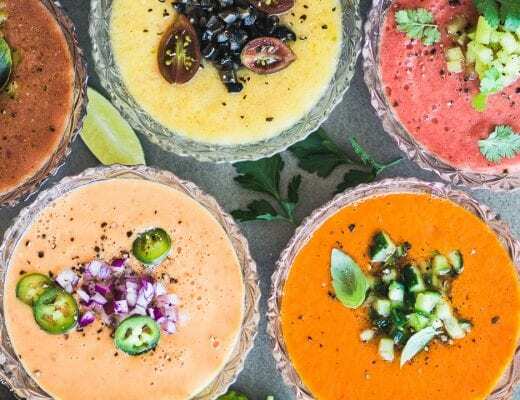 I love these Sue – what a fun and very delicious looking idea. I love the way your brain works, coming up with amazing stuff all the time! Pinning! What an awesome idea! It is 90 degrees here and I just got back from an entire day of baseball, so these sound so good to me right now. I used the foil trick in my pudding pops too, always works! All your posickles are absolutely gorgeous! Gorgeous ice pops, Sue! Love this idea for summer. I have to say, I did follow you at Bloglovin’ but then, somehow, something happened and I suddenly was not. I saw Julia’s pin at Pinterest then went back to look at my feed and you weren’t there. So, I re-followed. There is definitely something going on with your feed and wanted you to know. Pinning (of course!). Enjoy your spring weekend! What a great idea for a summer after dinner treat. :-) I am all in! Sue I thought you had stopped blogging! I don’t know what happened but I have not been receiving your posts for ages and all of a sudden I got many of them all in one day. Hooray that you are back ! Oh, I’m so bummed about that, something went wrong with my feed on some of the older subscriptions, I had no way of knowing who was affected or I would have contacted you! Welcome back!! They are so beautiful, Sue! I would love one now.